Dominance is in the details. 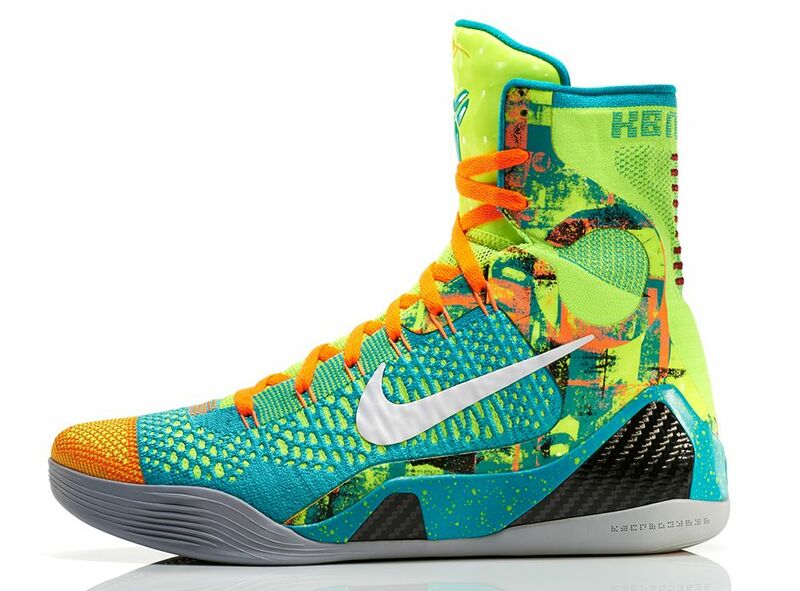 The Nike Kobe 9 Elite “Influence” is that. Designed for the ultimate competitor, Kobe Bryant. This basketball shoe offers a lightweight fit to enable natural motion for speed and strength on the court. On April 12, 2013 Bryant suffered a torn Achilles tendon against the Golden State Warriors, ending his season. His injury came while he was playing seven consecutive quarters and at least 40 minutes for seven consecutive games. Kobe’s “Influence” was still evident off the court. On November 25, 2013 he signed a two-year contract extension with the Lakers at an estimated value of $48.5 million that would make him the first NBA player to play 20 years with the same franchise. He remained the league’s highest-paid player, despite accepting the discounted deal; he had been eligible to receive an extension starting at $32 million per year. The details inspired by the wild designs of the Pop Art movement, the Kobe 9 Elite “Influence” features one of the signature shoe’s boldest color ways ever. The outside of the upper is a bright sport turquoise that contrasts with the total orange inside upper and laces. The volt high-top ankle adds extra burst of color. Black carbon fiber on the midsole and a grey outsole finish these off. The word “influence” is found on the inside tongue tag. White accents and a unique graphic throughout scream swag and make it my SOTM for June. After releasing exclusively overseas last month, this bright color basketball shoe will officially drop on U.S. soil this month. 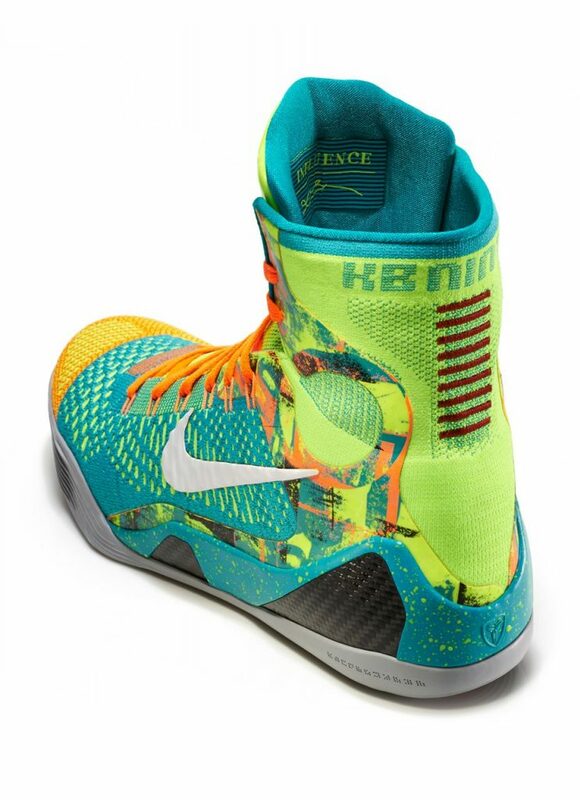 A limited release, look out for the Nike Kobe 9 Elite “Influence” at select Nike retailers for a whopping $225.